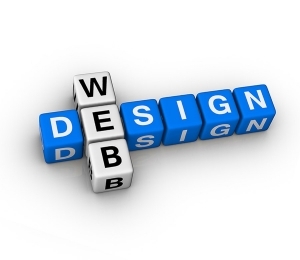 Graphic and Web Design: Is your business lacking an effective web presence? Does your logo need a facelift? With competent skills in all aspects of design for web and print, Rank My Website can assist with a graphic overhaul to heighten your brand’s appeal to both prospective and existing clients. We know your website design needs as a small business differ greatly whether you need a solid, easily updated WordPress site or a full custom website we can help. Rank My Website is a team of designers, developers and marketers all working on the same page to implement your vision and collaborate with you to build your brand. We start by learning everything we can about you and your brand. We only work with clean, compliant code, in either WordPress or HTML/CSS, giving you the flexibility to update and maintain your site if desired. Need a basic simple website to get up and running? We have the answer for you, a starter WordPress site is an easy to use content management system (CMS) that enables you to create and manage the content on your website by using your web browser. How does it work you ask? After our initial discovery consultations we’ll recommend several WordPress templates that we think will suit your needs. You choose the one you like and then we’ll install the template and customize to your business by tweaking the colors, adding your logo and build your initial site content. How long will it take? You ask good questions, generally a basic WordPress website and be up and running in 7-10 days! • Recommend Suitable WordPress Themes: We’ll provide you with 4-6 pre-built WordPress site templates (themes) from the most reputable developers of premium, SEO-friendly templates. Once you choose, we’ll purchase the template and install it on your behalf. • Customize Your Template:Minor customization to the site template, including adding your logo, modifying the colors (CSS), and basic setup of site (4-6 hours). •Build Initial Content: Bu ild up to 5 pages of initial content, based on client-furnished verbiage, photos, and other content. • Free WordPress Training: We’ll provide you with a list of the best FREE and paid Word Press tutorial sites from Novice to experienced and you can explore the best option for you.